No, I'm not pregnant. If you assumed that, you just need to hush. 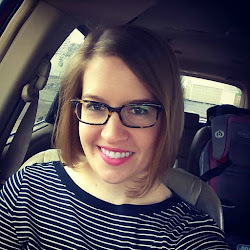 If we bought a minivan in December because we were pregnant, then I would be looking slightly different now in June. No, we bought a minivan because we came upon a steal of a deal. Also because our kids have a ten month old baby sister who will be moving to our home very soon. Not that many people know Baby even exists, much less her story or where it's headed now. We have known about her since day one, though she was not born yet. On the night Brother and Sister were brought to our home almost a year and a half ago, the investigative social worker who had removed them said "Their mom is three months pregnant." I stared at the six month old baby in my lap for a moment and my heart thundered further into my throat than it already was after suddenly having two babies plunked into our home. I said something lame like "Ok then" and we proceeded with signing many placement papers and embarking on our crazy foster care journey. We didn't know how things would play out with the placement overall, much less with the baby sister that didn't even exist yet outside the womb. The older two could be back home with mom before she was even born, she could be born and cared for by their mom just fine, or she could be removed as well. There was just no knowing. We quickly, and sadly, learned not to tell many people about her. All three kids are each almost exactly one year apart. When Baby was born last August, their mom was a couple weeks short of having three kids under the age of two. Aside from people either very close to us or very polite, the responses to such information turned out rude and hurtful. With each stinging comment, the words SHUT UP YOU JERKS rose higher and higher in my throat and Baby slipped deeper and deeper into secrecy. The people that needed to know, did know. Family, close friends, bosses, the aforementioned polite people, folks that earned the privilege of receiving ongoing information about our true situation by extending grace and insight at the onset instead of hurt and judgement. And now for a brief history of this sitcheeation, to bring all you other folks outside that circle up to date on how exactly we have come from being a family of two to a family of five in less than a year and a half. February 2014 - Brother and Sister were placed with us by CPS. Summer 2014 - Their mom gained enough stability such that CPS did not intend to remove Baby at birth. July/August 2014 - Brother turned two. Sister turned one. Baby was born. October 2014 - Some stuff happened and we thought there was about to be a quick end to the case overall with Baby remaining with her mom. Then some different stuff happened and CPS removed Baby. Even though we had known for a long time this was a possibility, we struggled, we prayed, we cried. We weren't licensed for three. We weren't ready for three. Three, at that time, would break us. We made our decision and CPS placed her with another foster family. Winter 2014/2015 - A lot of people decided a lot of things. The kids' mom decided to relinquish her rights to Brother and Sister but fight for Baby. Baby's foster family decided they did not intend to adopt, if it came to that. And we decided that in that case, we didn't want Baby submitted to the masses for adoption, so either she went home to Mom or came to us. So, we bought a minivan. Spring 2015 - We waited. May 2015 - CPS called us and said the case was not progressing and they were changing Baby's permanency plan to adoption instead of reunification. The ball was tossed into our court to work with her foster family and work out a time to transition her to us. July 2015 - Baby will move to our home. But here we are. About to be a family of five. About to be challenged. About to have three kids under the age of three. About to have birthday season at the end of every summer for the rest of our life. About to deal with crazy looks and comments from people that assume we birthed them all that close together. About to have a little posse of siblings all together in the same home. Oh...ya know...how is one supposed to feel about things like this? We are excited. We are freaked out. We're working out some logistics like which two kids will share a room and bracing ourselves to spend a lot of money on special skinny car seats for Trent's car in order to fit three across. We're wrapping our hearts around the idea of a new child coming to our home and grateful that we will have a stellar resource in her foster family to ease the transition and help us learn to care for her. We are at peace. We are willing. We are choosing to trust. We are choosing to love. Anna, this made me cry. I wish I could live near you all to be an extra granny for those babies. I'm a wee bit jealous, as I wanted to have a passel of kids and that didn't happen, and then I wanted to foster kids, but so far that isn't where we are. I know you are IN FOR IT, GIRL! but oh my goodness you are loving them with God's love and you have the Body of Christ around you and the Holy Spirit in you and those kids, those children, are so, so, so blessed. And you and Trent will be, too. Oh wow... I know that was a really hard decision you made back in October, but what a blessing that all three babies will now be together. Hope it's a smooth transition and GOOD LUCK!